“People are developing a taste for healthy living. They want improvement‑ compared to us and what we are doing, they want better,” says Md Amin Uddin, one of the elders in Arua village in Keshabpur upazila, Jessore, Bangladesh who is optimistic about the future. Originally posted on the IRC website. He is not the only one. His is one of many upbeat voices in a series of short films about water, sanitation and hygiene (linked below) in Bangladesh and the role played by the BRAC WASH programme. Bangladesh has made huge progress in meeting the millennium development goal for water and moving towards it for sanitation – and a lot of credit must go to the BRAC WASH programme that has been running in the country for eight years. The programme counts achievements in millions of people, but these four short films show the impact at individual level and the sense of achievement people feel when they have a water supply that works, toilets they can be proud of and an understanding of why hygiene is so important in their lives. They show how BRAC staff work with communities with mutual respect and a winning formula of cluster meetings and household visits that keeps WASH on the agenda. “One must have a sympathetic nature and be able to mix well with the people,” says Roashin Naila Chaudhury, BRAC WASH junior field officer in Chittagong. “One must have a sympathetic nature and be able to mix well with the people,” says Roashin Naila Chaudhury, BRAC WASH junior field officer in Chittagong. This is tangible when you see Asma Ahkter, a BRAC WASH programme assistant, explain to a women’s meeting how a water seal protects their latrine. It is evident from the friendly inspections of toilets and advice that is given. It is evident from the way that programme assistant Rokeya Hossain explains why you need to cover your water pitcher. “I have built a friendship with them,” she says simply. 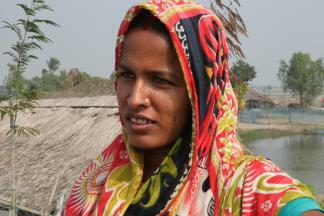 Rukini Majumdar, a BRAC health volunteer in Kharamkhali village, Bagerhat district, helped to form the village WASH committee that runs the pond sand filter installed with BRAC’s support. “The water is so clean we don’t ever want to drink water from anywhere else,” she says. “One good thing is that everyone listens to me,” she adds with a smile. This sense of transformation can also be seen in Gunari village in the coastal area of Khulna where people have had no choice but to drink unclean and salty water from polluted ponds destroyed by Cylone Aila. 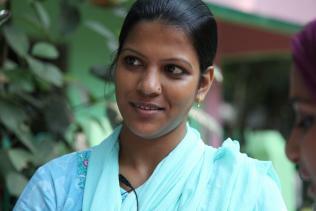 Gunari too has a BRAC WASH pond sand filter and Shantana Biswas no longer gets sick. “Now that we have this pond sand filter we never use any other water,” she says with feeling. There is a long way to go– Gunari is an exception among coastal villages in having water of this quality. We also see the devastating effects when people have been unknowingly drinking arsenic in their water. Akam Biswas, a former village policeman, with the skin peeling from his back and itching all over his body, went to the doctor. With no money for medicine he was instructed to eat fruits and vegetables. One film looks at colonies in Chittagong Division where people live at the top of steep hills and water is found at the bottom ‑ an uphill life for women. One village has kept a water tank that BRAC provided in 2009 functioning ever since. We see a deep well being drilled in a second village. But a third has no supply. The women struggle uphill with their 15 litre jars. We hear about the women who fall, the women who miscarry and the families who do not want their children marrying into such communities. The voices of the young ring out from these films. 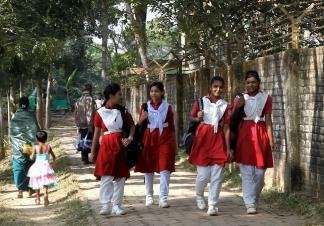 BRAC WASH has also worked with more than 5,000 schools in Bangladesh, installing toilets for girls, training teachers to teach girls about good menstrual hygiene and setting up student brigades for the best and the brightest take a lead in handwashing and personal hygiene. 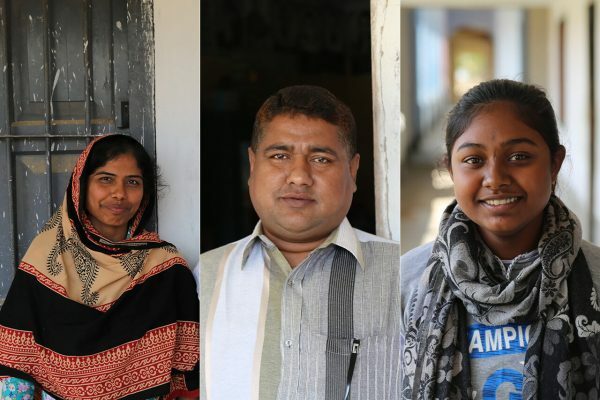 Samia Hoq, a student brigade member in Mohamuni Anglopali High School in Mohamuni, Chittagong, is even teaching her mother how to do things differently. These films provide an insight into how BRAC WASH programme staff and community members interact. They go beyond the jargon of programmes and projects and into people’s lives. Behaviour change, transforming communities, ‘selling not telling’, empowering communities, awareness raising, and working at scale – these terms come to life only when we link them to people, hear what they say and see how they live. 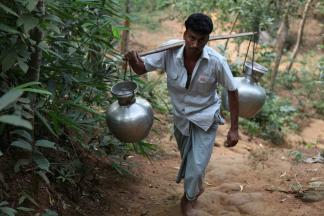 An uphill struggle for water – Three villages close to each other – with the same needs for water. One has it. One has just got it. One struggles without it. This film shows the difference it makes. Duration: 6.35 minutes. Click here to watch the film. WASH goes to school – Much has changed at Mohamuni Anglopali high school after taking a lesson in good hygiene. Duration: 10.11 minutes. Click here to watch the film. Dangerous waters – In Bangladesh millions of wells are polluted with naturally occurring arsenic: you cannot smell or taste it but it has a devastating impact on health. In coastal areas, traditional ponds have become contaminated with salt water, especially following cyclone Aila. Duration: 12.21 minutes. Click here to watch the film. From door to door – Every day BRAC WASH programme staff get into communities to organise group meetings and go from door to door to advance the concepts of hygienic latrines, safe water and cleanliness. Duration: 6.11 minutes. Click here to watch the film. Peter McIntyre is the IRC associate. Petra Brussee is a programme officer at IRC. 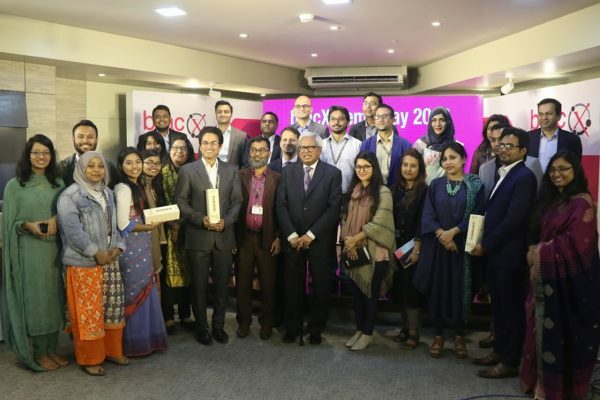 The interviews were taken by Sabrina Shahidullah, senior programme specialist of BRAC WASH.